It is interesting how people are Disney people but not amusement park people. 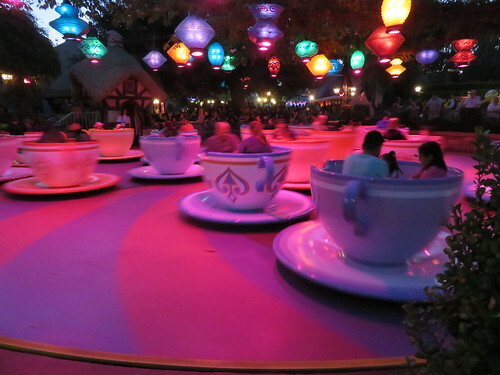 Going to Disneyland makes me want to go to more amusement parks in California. I always like amusement parks and going to Disneyland re-sparked this in me. Growing up we would go to West Point Park, Dorney Park, Great Adventure, and Busch Garden. Even if I didn't like every ride, I'd find rides I liked. To my count there are four big amusement parks in northern California and seven big amusement parks in southern California. I want to take Aiden to all these parks. I think he will enjoy all of them, maybe not now, but has he gets older he will enjoy them. As a parent I find it hard to balance doing things that are exciting and just keeping a routine. I want to push myself to take Aiden more places. I think taking him to amusement parks might be part of that in the future. I am interested in the idea that people are huge Disneyland fans, but not Amusement park fans. There are a number of people I know who are this way. They say there is just something special about Disneyland that no other place has. I want to know more about why people feel this way. I think it is an interesting thing to look at. I want to hear more about people who love Disneyland but not other Amusement parks.